With Diner en Blanc on the horizon it’s time to start planning the perfect, all white outfit that wows. 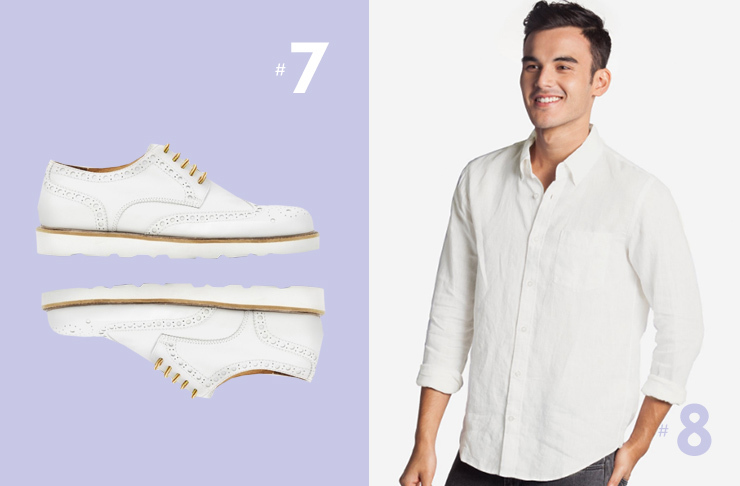 From dresses and shoes to menswear and the little extras that make your outfit pop, here’s 8 of the best all white everything. The perfect flouncy dress to take you from day to night, you can rent this gorgeous number (and many more) from The Volte for a fifth of the retail price. How good is that! The Zimmermann White Realm sun dress is available for rent from The Volte. Have you seen anything cuter (or comfier) than these Puma kicks complete with big white nylon laces or satin bows? Father of the Bride eat your heart out. Just don’t get them dirty! The Puma Basket Heart leather sneakers are available here. And just when you thought those Puma sneakers were the cutest thing ever, enter the Clare V Bag. With a whole lot of vintage charm, this beauty is leather and can be worn with a shoulder strap or carried by the adorbs handles. Tres chic. The Clare V Alistair leather shoulder bag is available here. Zimmermann you’ve made us swoon once again with these pom-pom-trimmed broderie cotton shorts. With all of the boho vibes, these are as playful as they are comfortable. The Zimmermann Caravan cotton shorts are available here. These white linen shorts by The Academy Brand are lightweight and will look super cute paired with a white linen shirt for a summer tuxedo effect. Plus, the elasticised waistband means you can afford to eat dessert! The Academy Brand Portofino linen shorts are available here. Nothing says easy breezy like Janessa Leone’s Panama hat, even though it takes 36 pairs of hands to weave this straw hat into existence. 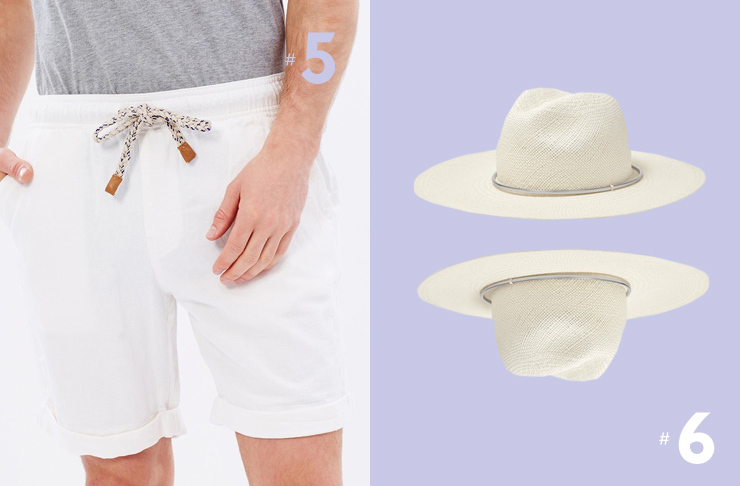 The Janessa Leone Annie straw Panama hat is available here. We love these white on white brogues by Croft for their hiking laces and cool circular cut outs. These are limited edition so get in quick! The Croft Gabe low-top brogues are available here. Every man should own a linen shirt and Grana make some of the best using only the finest Irish linen. It’s much softer than your usual linen shirt and ultra breathable. The Grana classic linen shirt is available here. Now that your outfit’s all sorted, find all the details to this year’s Diner en Blanc here!